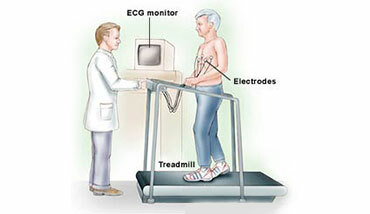 Exercise stress test we perform is a treadmill test, which helps the doctor to find out how well your heart handles work. In children with heart disease, this test is performed in a controlled condition to determine their exercise tolerance. In healthy children, this test may be performed to make sure your child is not at any high risk for sudden cardiac death during athletics. This test is performed in our office and results will be communicated upon completion of the test.